This afternoon we were finally treated to the software that RIM, or should I say Blackberry, have been cooking up over the last two years! Based on QNX we now officially have BB10! There was one heck of a lot of news from the event so we're going to break this one down into sections and we'll try to be as systematic and thorough as humanly possible! 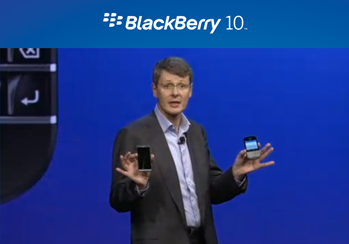 Heins with the Z10 and Q10. 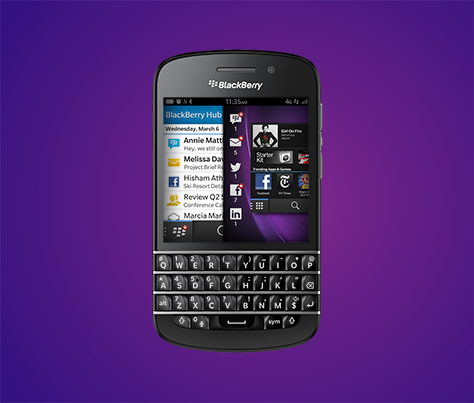 RIM rebrands itself as Blackberry! Well this first bit of news we can't say we were expecting, but it all seems to make sense. Before Blackberry was the handset arm of Research In Motion. In all honesty RIM doesn't do too much aside from their Blackberry phones, so it seems to make sense that RIM becomes Blackberry! 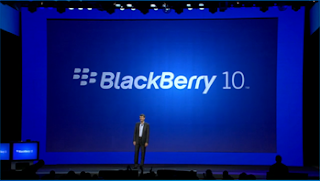 It seems to make a lot more sense to standard consumers and no one can claim to be confused who makes Blackberry's now. One this we will miss are the cheesy jokes us and our peers have made about the name RIM, but heyho, that might be one of the reasons they changed the name! A 4.2" Full Touch display with a 1280 x 768 resolution, which is 356ppi. An 8MP rear and 2MP front camera capable of 1080p and 720p both at 30fps. Up to 10 hours* talk time (3G). Up to 13 days* standby time. A MicroSD memory card slot. If you're wondering when you can get your hands on one of these bad boys well we have good news for you if you're in the UK! You guys can get your hands on the device from tomorrow morning! The white version is a Phones4U exclusive for a while, but you can get the black variant from EE, Three, Vodafone and O2, it can also be bought through the Carphone Warehouse! At the moment the details are a little thin, but we do know that you can get a Z10 from O2 for free on a £36 per month 24 month tariff for the next two weeks. If you opt for EE and get you 4G data you can get the phone for a £50 fee on top of a £41 a month contract, which seems extortionate to us, but you can get that here. Vodafone has the handset priced at £29 for a £42 per month Vodafone Red Data plan, which has unlimited calls and texts with 2GB of data, you can find out more about Vodafone's deals here. We're not sure what Three will be offering in terms of price plans, but they will be carrying the phone, they just haven't given us any details yet. Phones4U will have both colours, but there's no prices yet and the Carphone Warehouse will let you have the Z10 free on contracts of £36 per month. 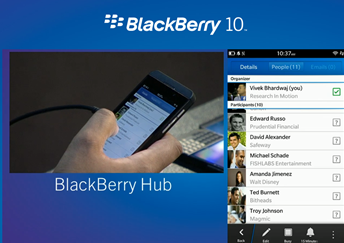 If you're in America then you will be able to get the Z10 all on four major networks, but with a little compromise. That is that you'll have to wait until March. You can register your interest, but pre-orders are a little way away yet. Verizon will be charging $199 with a new two-year agreement or it'll set you back $599 off contract. We're not sure about the others, but we know Big Red has the exclusive on the white version. 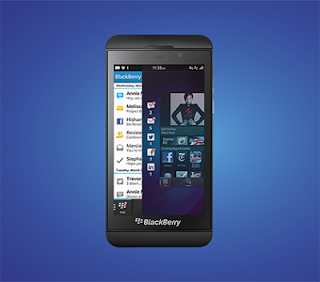 In Canada, the BlackBerry Z10 will be available on February 5th. Pricing will vary by carrier partner, but it will retail for around $149.99 on a 3-year contract. In the UAE, the BlackBerry Z10 will be available on February 10th. Pricing will vary by carrier partner, but unsubsidized it will retail for AED 2,599. As if all of that wasn't enough then the device has already been unboxed! In fact we tweeted out this video before the official announcement arrived, so don't forget to follow us on Twitter! A LCD 720 x 720 pixel 3.1 inch display with a ppi of around 328. A dual-core processor running at 1.5Ghz. So interestingly this one has a lot in common with it's all touch sibling. Blackberry have also said that the Q10 is rocking a special glass fibre back, which they'll have us believe is thinner, stronger and lighter than plastic. 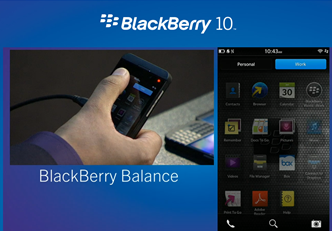 Blackberry haven't told us any pricing or carriers yet, but the device will be available in April! 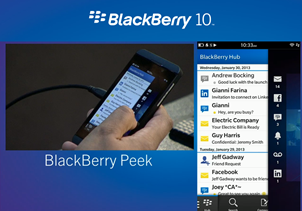 Blackberry showed us so many of the new features of BB10 today. Everything looked excellent to use and we particularly liked a couple of the features, we'll cover them here and the rest of the new stuff we'll link to Blackberry's blog! Balance was shown off today as a new way which the Canadian guys have come up with for balancing your work and personal lives. Essentially you have both on your phone and you can switch between them almost effortlessly. All if takes is a simple pull down from the top of your screen and you can flick between your totally separate work and personal areas. We would love to see this in action and hopefully it works just as smoothly and simply as they showed us in the video earlier! There's only one way of explaining this... You know how on your current smartphone, if you get an email you go into the email app, to retrieve your Facebook notification you go into the Facebook app, Tweet, Twitter app, etc, etc. Well on BB10 you don't. It all comes to you, all in one place, everything in the Hub! You can respond to all notifications through it and it seems to be an elegant and beautiful solution to the problem of having tonnes of apps! One other huge feature of the hub, especially for business people, is that the service will automatically pull down photos from social networks and recent statuses so you know who you're meeting (and what mood they're in)! The Hub ties in very nicely with the new 'Peek' feature. Essentially this is all about multitasking, if you're watching a video then there's a little gesture which will let you have a cheeky 'peek' at you notification to help you decide how important it is or whether you can finish watch the latest Rihanna video! It's cool and we expect it will be very useful for those super busy people! BBM Video Chat and ScreenShare. Blackberry Remember (Super useful feature). Ohh yeah and Alicia Keys is now Creative Director! We have no idea why either!